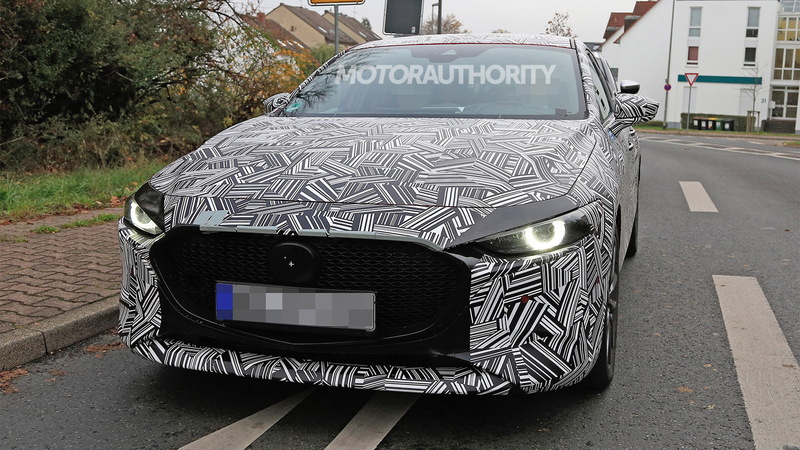 Mazda will unveil its next-generation Mazda 3 at the end of this month at the 2018 Los Angeles auto show, but a prototype has just been spotted and reveals many of the details. 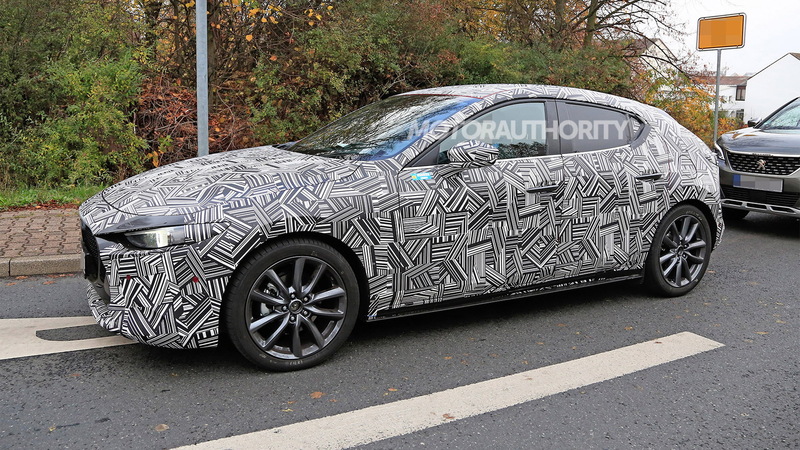 The prototype is for a Mazda 3 hatch but a sedan is also coming. Both body styles were previewed last week in a teaser video. Mazda has been dropping plenty of hints about its new 3 over the course of the past 12 months. The Kai concept car (shown below) unveiled at the 2017 Tokyo auto show previewed the design and looks to closely resemble the production version. The concept was also built on the new SkyActiv-Vehicle Architecture, Mazda's latest modular platform which makes its own debut in the new 3. The platform is said to offer improved dynamic performance compared to Mazda’s current design, as well as a quieter, comfier and more refined ride. The platform also integrates Mazda's new SkyActiv-X engine which promises diesel-like fuel economy but with the cleaner emissions of gas engines. The engine features what Mazda calls Spark-Controlled Combustion Ignition. The innovation is to ignite a very small amount of gas-air mixture that is injected very close to the spark plug in a high-compression engine. This in turn raises the pressure on the much larger volume of lean gas-air mixture in the rest of the combustion chamber, creating an effective compression ratio high enough to cause that mixture to spontaneously ignite. This lean gas-air mixture is where most of the efficiency gains are made, with Mazda boasting gains of 20-30 percent over a conventional engine with similar performance. 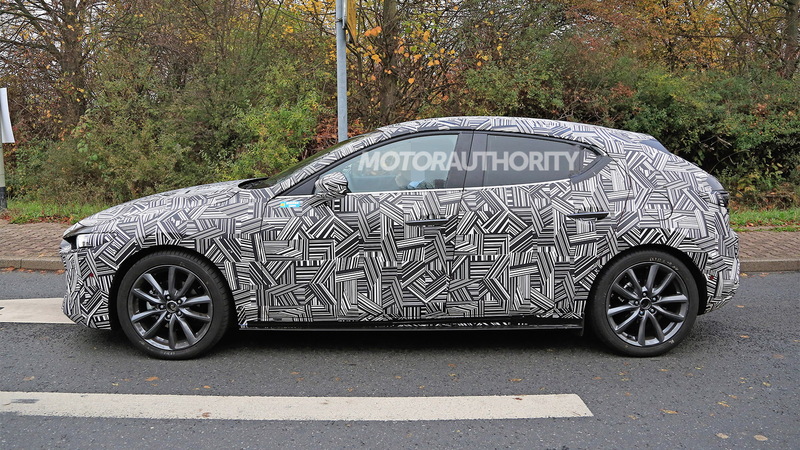 We tested an early prototype of the new 3 fitted with the SkyActiv-X engine a year ago. The engine in prototype form featured a displacement of 2.0 liters and a high compression ration of 15- or 16-to-1, and with a bit of mixed driving was delivering close to 40 mpg when equipped with an automatic transmission. Mazda hasn't provided many details on the tech, but at sufficiently high temperatures and low load situations, the lean gas-air mixture is thought to ignite purely from compression, just like in a diesel engine. The spark-less process is generally referred to as Homogeneous Charge Compression Ignition, or HCCI for short, and is yet to appear in a production gas engine. 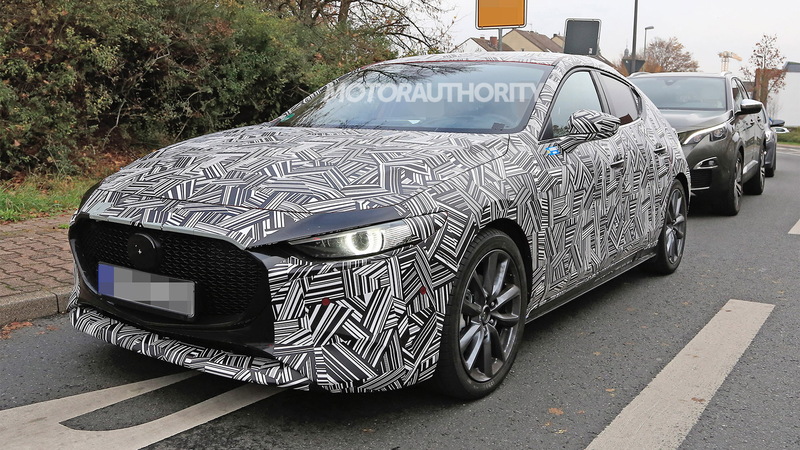 The new Mazda 3 should go on sale shorty after its L.A. debut, meaning we should see it arrive as a 2019 model. 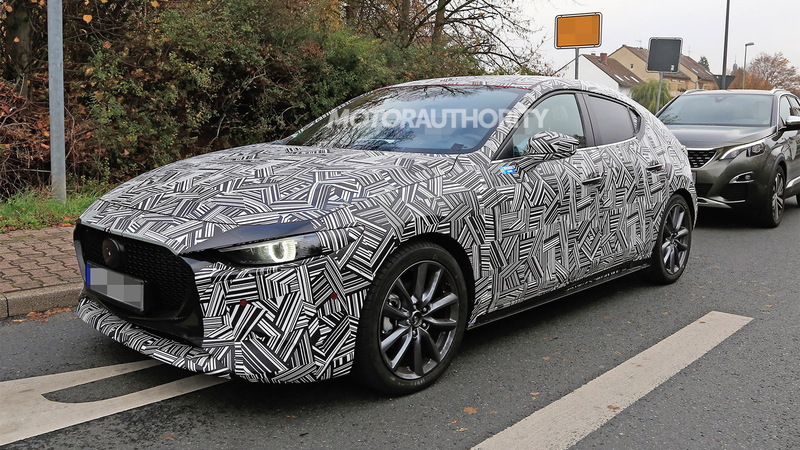 Mazda will also use the show to introduce its updated 2019 CX-5. The L.A. auto show opens its doors November 28. To learn about some of the other vehicles set to appear, head to our dedicated hub.